You can buy pre-cut economy frames or cut out your own frames from cardboard or cardstock. If you are planning to cut out your own frame, use adult supervision to trace and cut out the inner part of the frame with a pen and an X-Acto® knife. Make the inner part of the frame similar to the standard size for a photo. This can be either 6 x 4” or 5 x 7”. Glue the back of each leaf to the card frame. 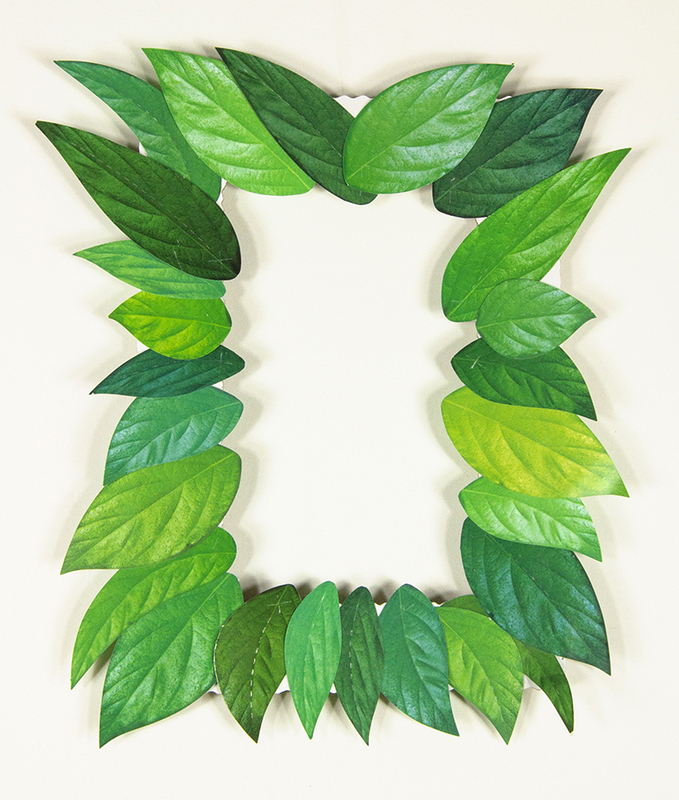 After you have glued the leaves to the frame, choose a correct size for your photo. Place the photo behind the photo frame. Tape down the edges of the photo to the photo frame. You can use other kinds of paper collage nature pieces to paste onto the frame. Use a sturdier frame for nature bits like twigs, shells or dried grass. This entry was posted in Art, Crafts and tagged autumn, collage, decoration, frame, gluing, leaves, photo frame, picture, seasonal craft by roylcoblog. Bookmark the permalink.